I was born in 1981. People born around that time and shortly before will be the first generation of senior citizen video gamers, meaning they’ve been gaming their entire lives. We’re only in our thirties now and people my age are crazy for pop culture merchandise from retro video games. 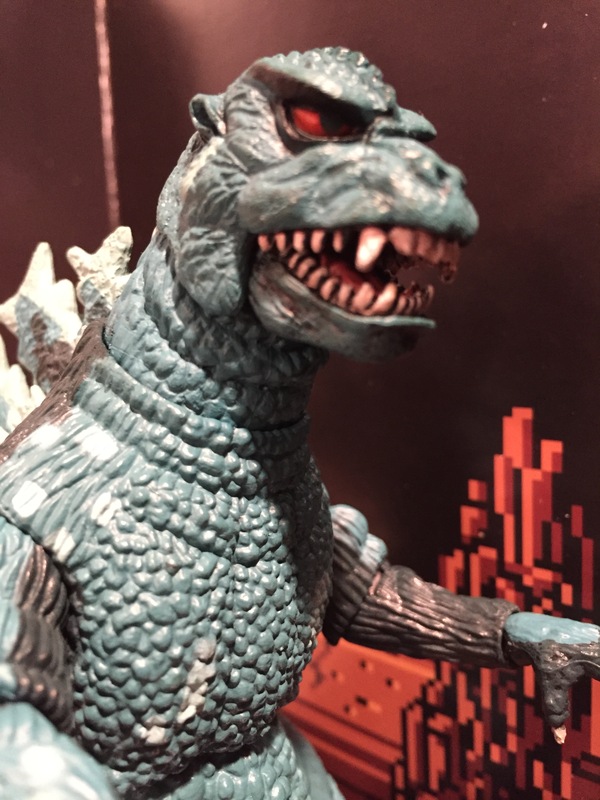 And one particular type of retro line from NECA Toys is introducing new generations to old classics and making people my age feel like kids again; video game appearance figures or VGAs. 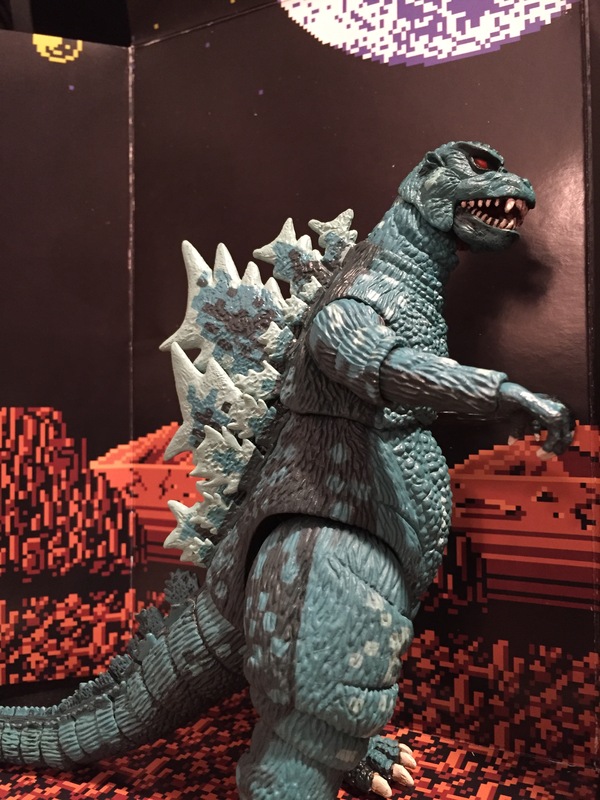 The idea was to make a highly detailed and realistic figure and paint it in an 8-BIT style to make it seem as if it has come right from the game. 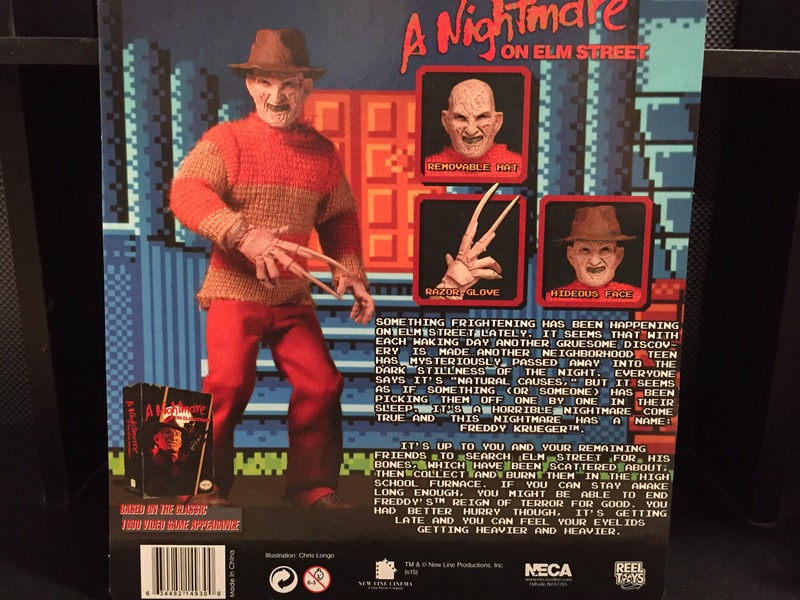 The figure comes in one of NECA’s window display boxes made to resemble the package the original game cartridge was sold in. 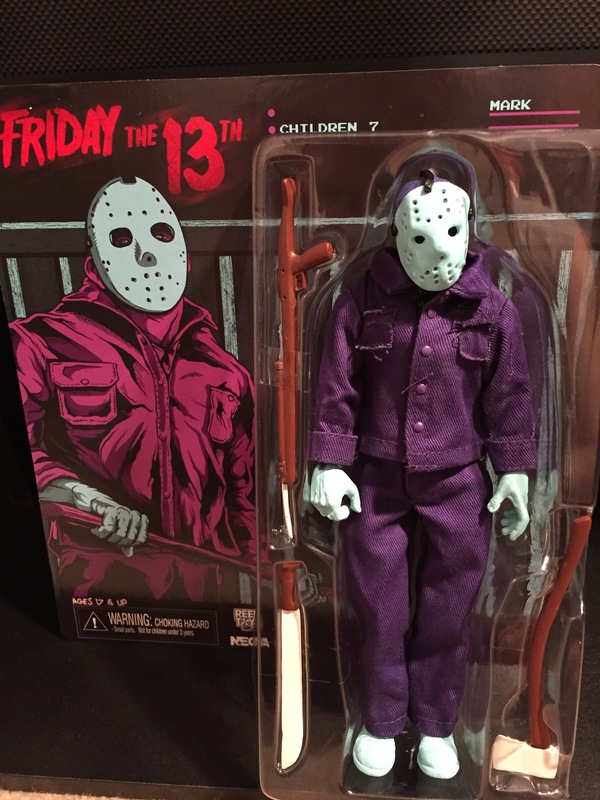 NECA went into the little details with this line’s packaging. 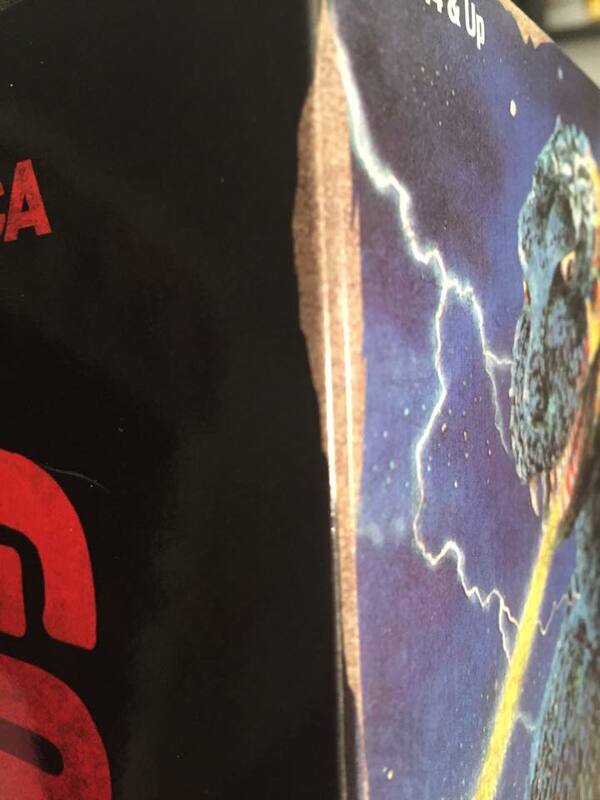 From adding a worn edge look into the edges of the box to recreating the Nintendo Seal of Quality with their own logo as seen at the beginning of this piece. 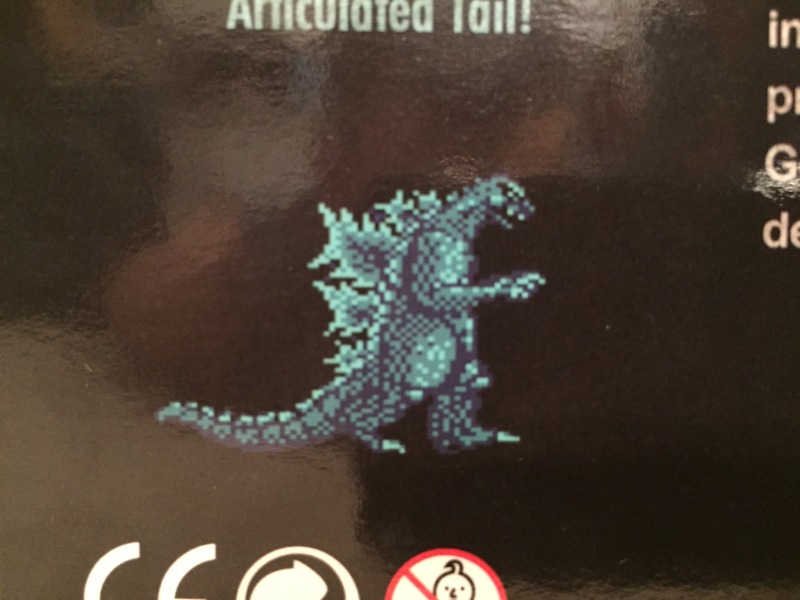 Text and graphics from the original video game box is imported as well an image of the character in game. The insert is an awesome landscape of the background seen in the game. 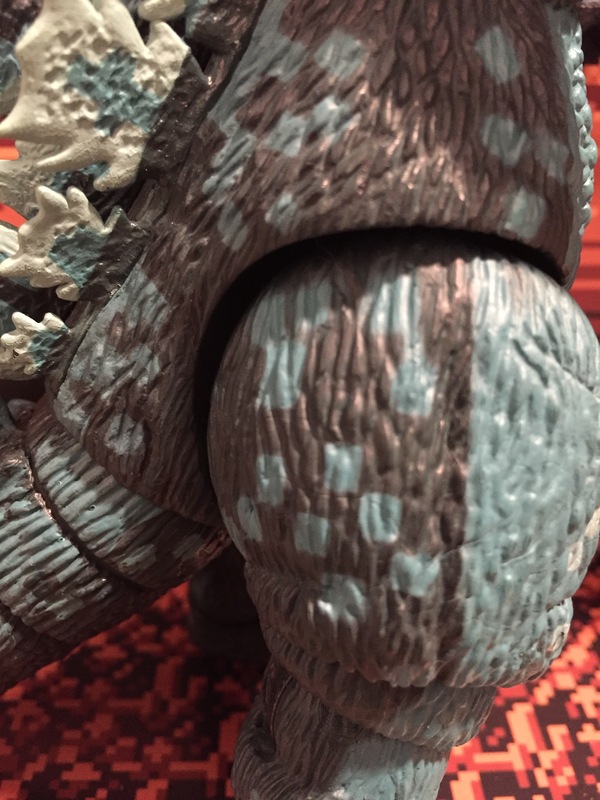 The figure itself is adapted from NECA’s previously released Godzilla 1985 figure with all new extended spines to match Godzilla’s appearance in the game more accurately. The final touch in the paint to give it an 8-BIT look is to actually add little square bits of paint. I think it’s awesome that these figures have this type of paint scheme to remind us of our childhood at the same time that Minecraft and it’s bit style is loved by so many kids now. 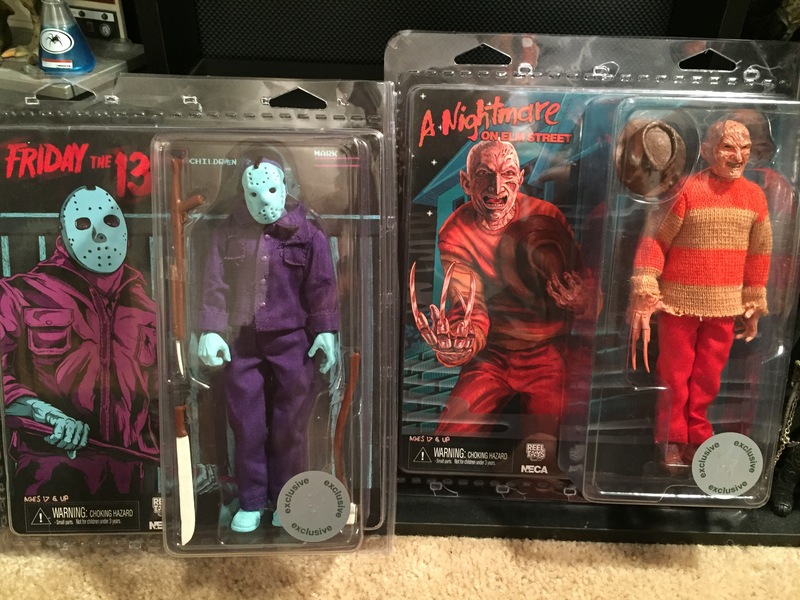 There have been over a dozen of these VGA figures since NECA started the line and it has been very successful for them. So much so, that they branched out with video games into another of their toy lines, Mego figures. 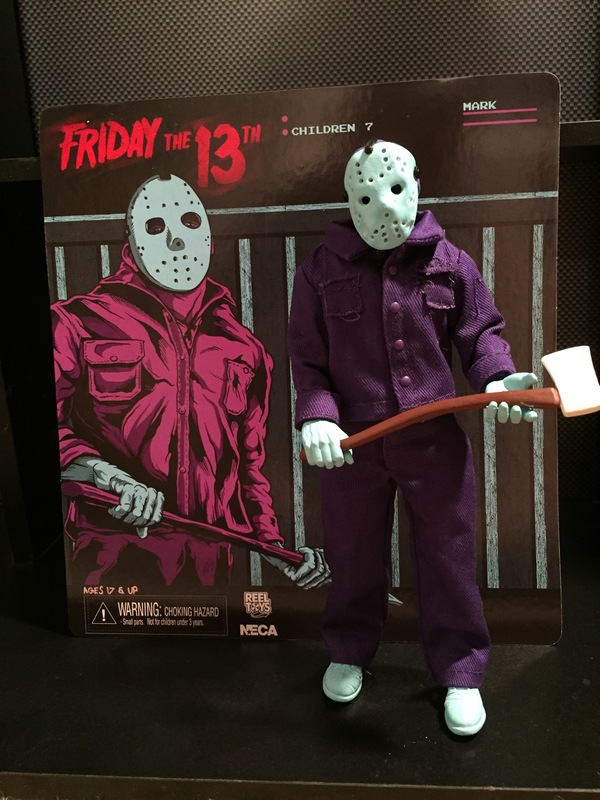 Based on the style of eight inch, clothed figures made by the Mego Corporation in the 1970’s, NECA has seen this line become equally popular over the same period of time as the traditional, plastic VGA figures. 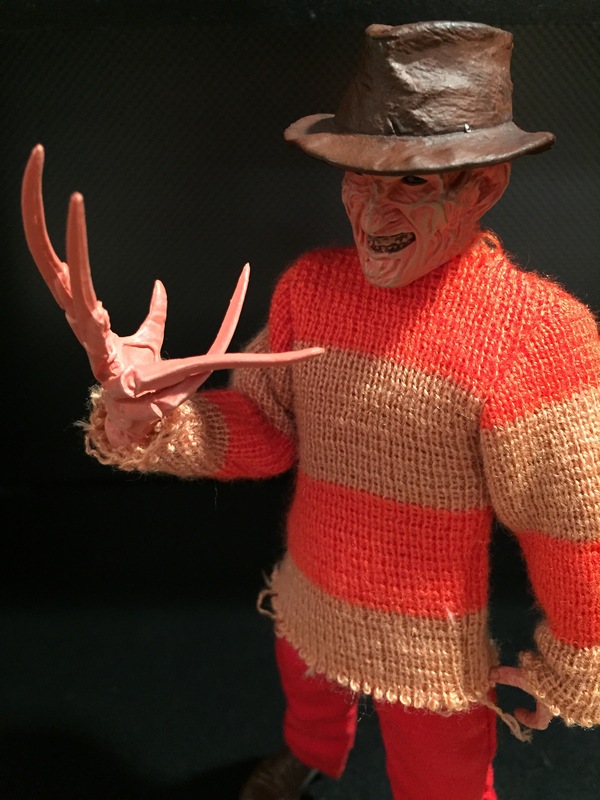 So, it was only natural to try combining the two, which they did with the above Jason Voorhees and Freddy Kreuger. 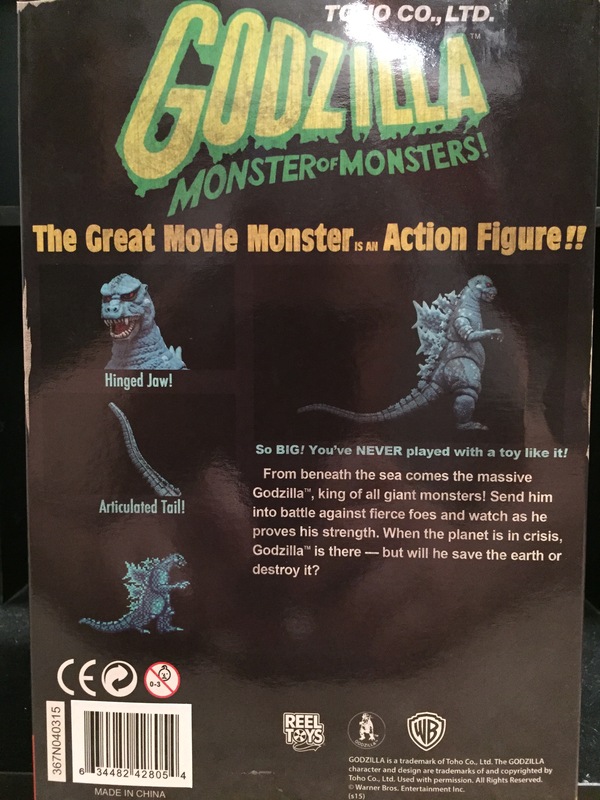 As with the VGA Godzilla, these figures are repaints of previously released Mego figures done to capture their appearances from the Nintendo games. 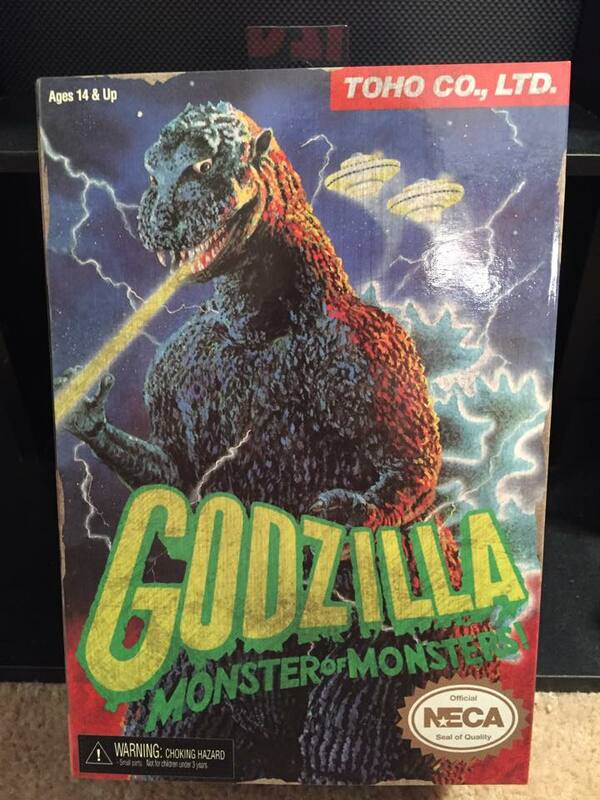 The art continues the scheme seen with Godzilla, text and graphics imported from the game. 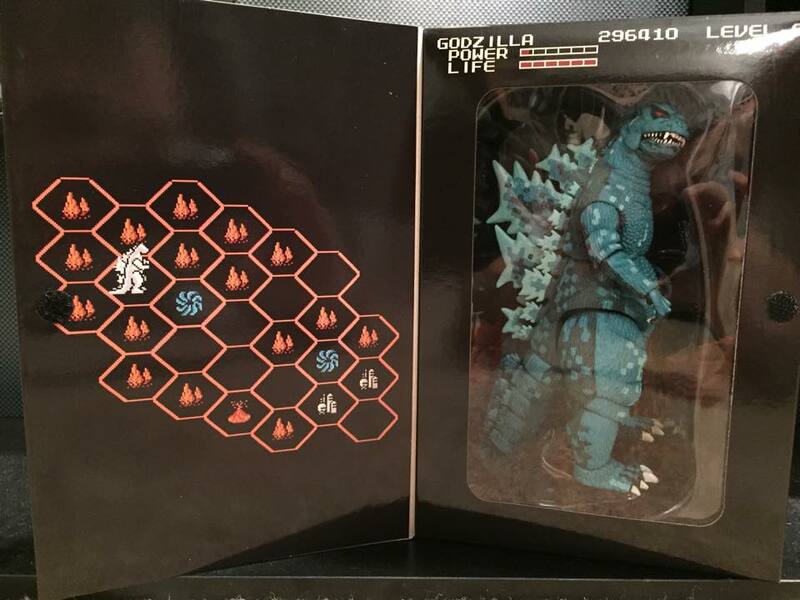 And just like the Godzilla box, these figures come in packaging meant to be kept, thick plastic packages in the case of the Megos. 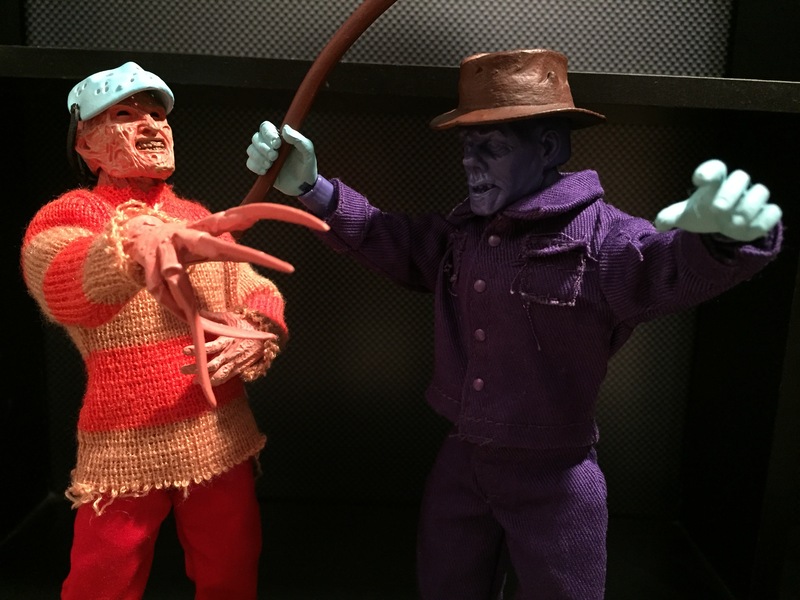 The art inserts of these Mego figures showcase the work of amazing artists. The real cloth outfits have been done in the bright colors from the game that immediately grab your eye. The head sculpt on each is a fantastic representation of the entry in each franchise that they were based on. 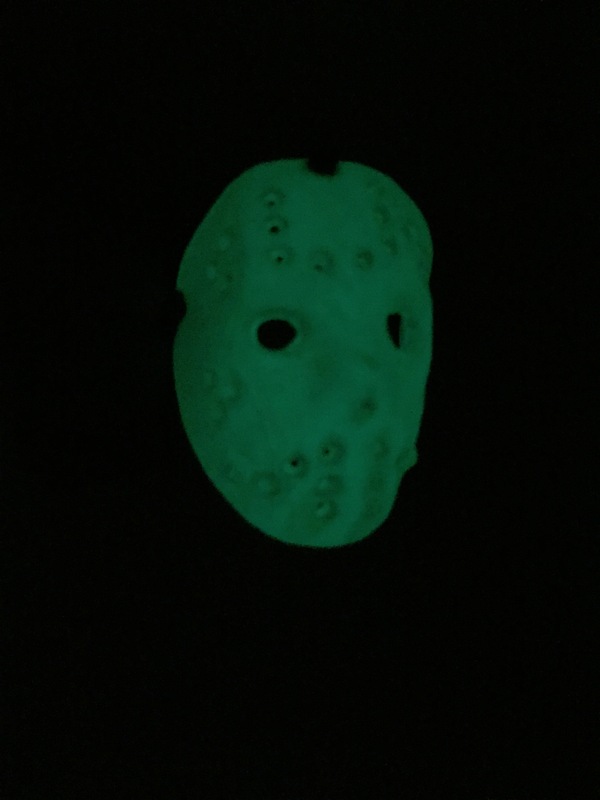 And as one final touch of retro fun, Jason’s removable mask glows in the dark. 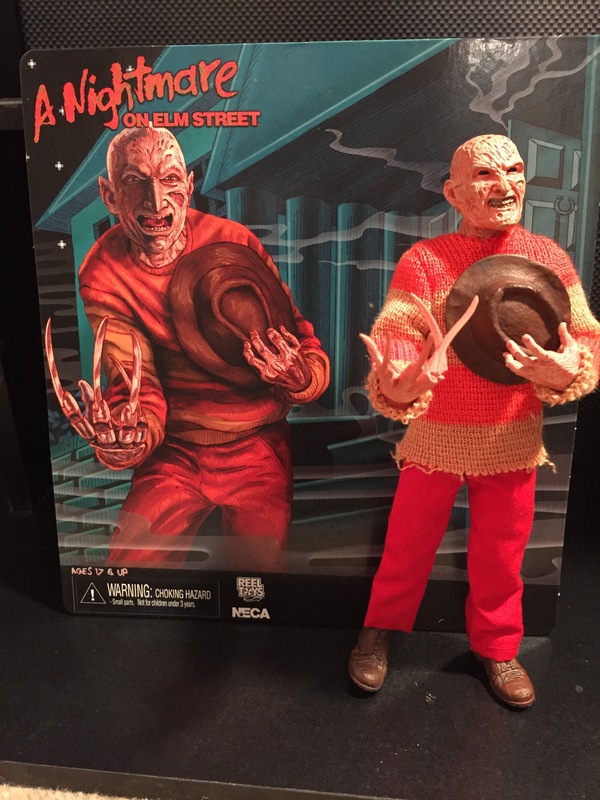 NECA has found a great way to funnel our childhood memories of these movie tie in games that usually left us wondering, “When was THAT in the movies”?, into these awesome figures. 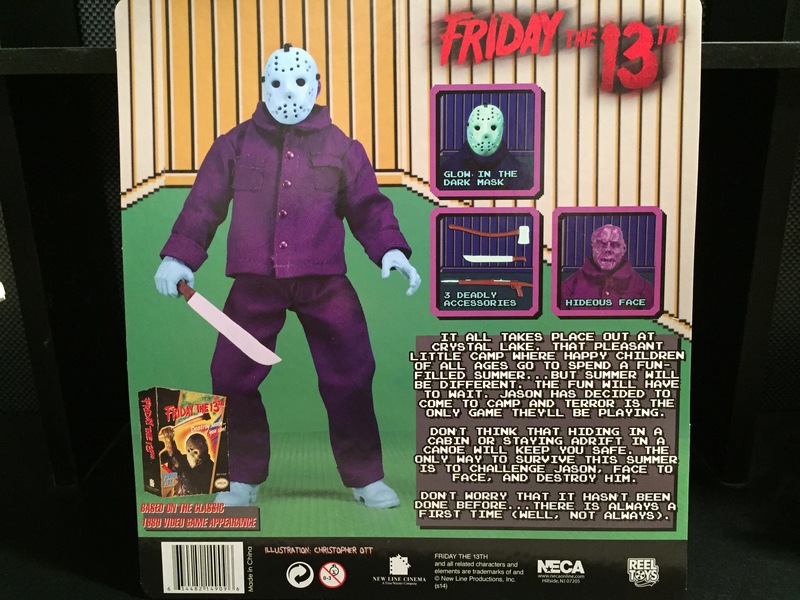 Both the traditional VGA figures in the window box and the Mego figures in the plastic packaging retail for around $24.99 each. 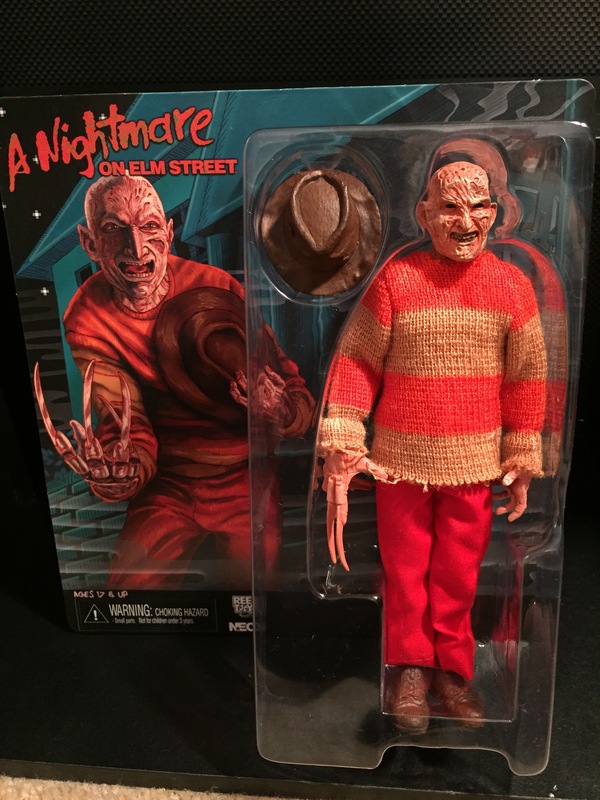 I’d like to thank NECA’s director of production, Randy Falk for the sample of the Freddy figure seen in this piece. 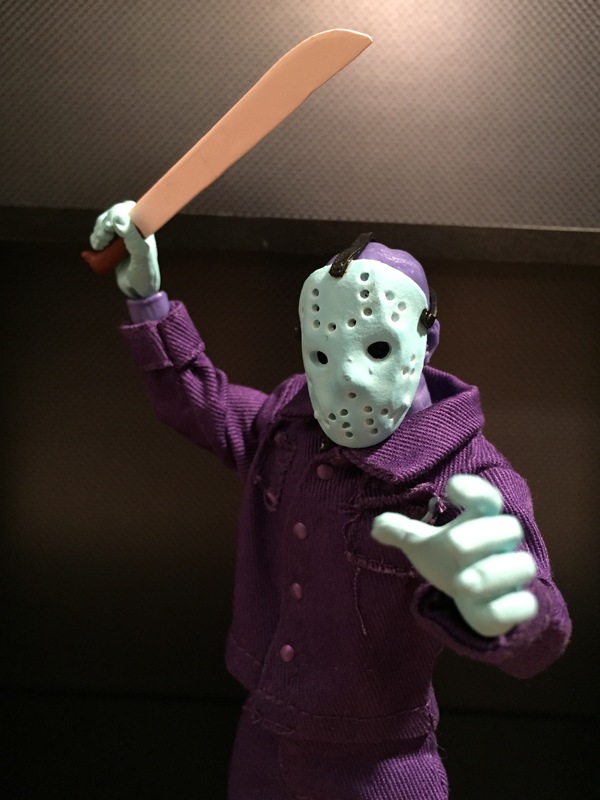 Nice blog, it’s nice to see as hardly any blogs out there on neca figures and figures in general. Do you have a YouTube channel? I’ve been collecting for 3 to 4 years and I collect autographs also from horror sci fi films. Thanks, man! I don’t have a YouTube channel, but it is something I am considering once I’ve done with for awhile and get comfortable with it. I am going to add small videos in a future review of the Sphero BB-8. You on Twitter? Gimme a follow, I’d love to see your collection! Cool sounds good, I like watching the YouTube figure reviews but it’s good to read a review aswell with photos. Think we are already following on twitter. Tim Mathews on twitter, profile pic of me with Micheal biehn. 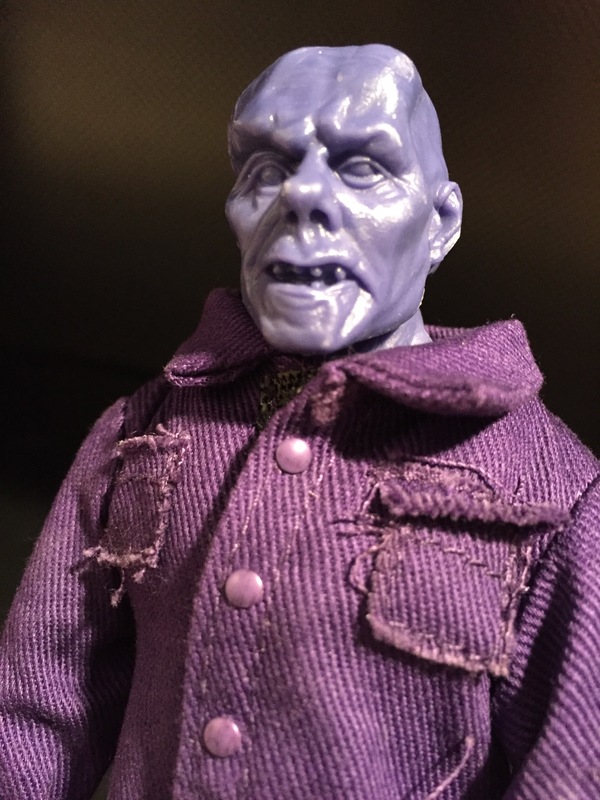 got few pics up of my neca but will have to put some pics up of my detolf cabinets sometime.